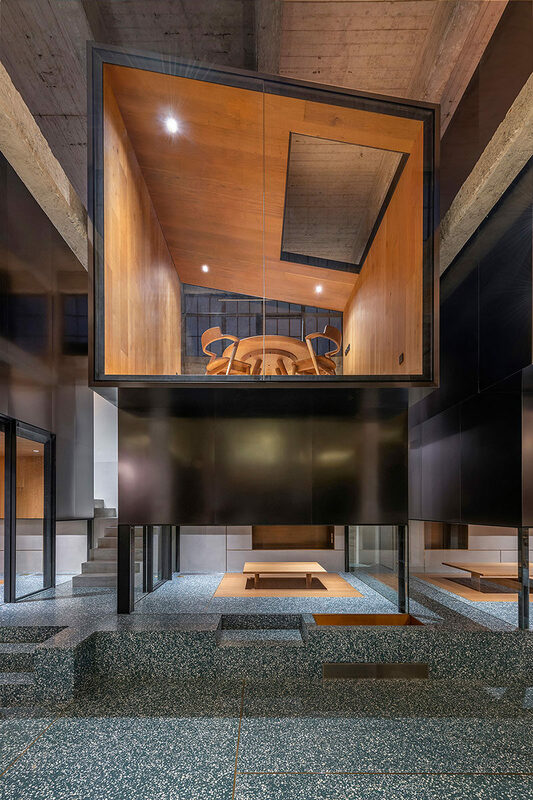 Architecture firm Linehouse, have recently completed the Tingtai Teahouse, that’s located within a former factory space and art gallery in Shanghai’s art district of Moganshan Road. The client, a tea enthusiast, sought to create a traditional Chinese teahouse with a modern aesthetic. 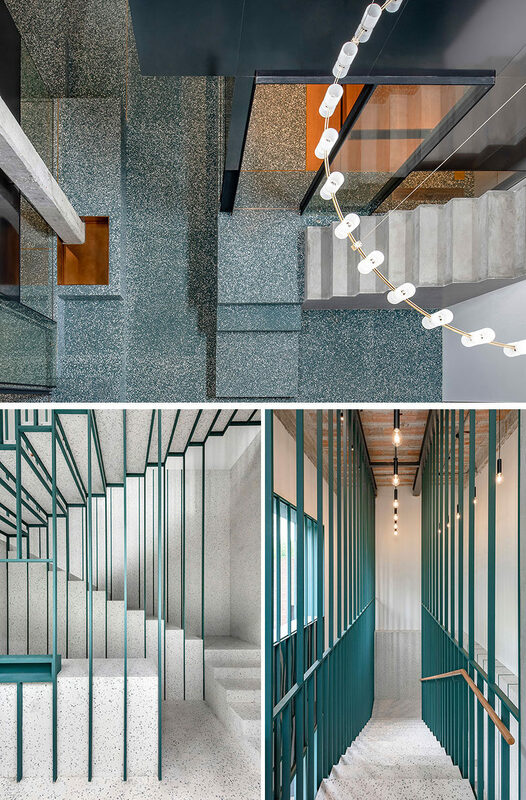 Entering Tingtai Teahouse from the street, a staircase is held by a fine metal green structure, and white nougat terrazzo lining the walls and floors, takes guests to the upper floor. 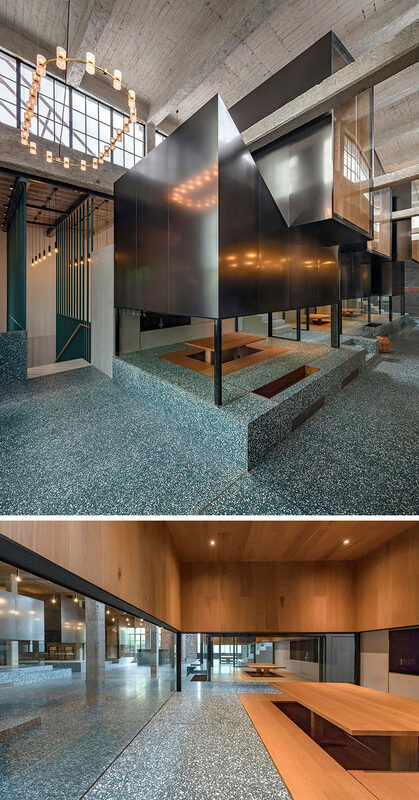 The existing space was stripped back to its raw state, exposing the patina of the concrete structure and the old brick walls and ceiling, while an existing mezzanine was removed to expose a double height space with high level clerestory windows. The main open area is used as an event space for flower arranging or to host temporary art exhibitions. As with traditional teahouses that are made up of private rooms where friends can chat and enjoy the ritual of tea, the Tingtai Teahouse has a modern take on the private rooms, with the interiors of the teahouses clad in smoked oak to create a simple yet warm interior. The height of the glass horizon provides privacy at eye level within the teahouse, whilst also still giving guests a sense of the activity beyond. 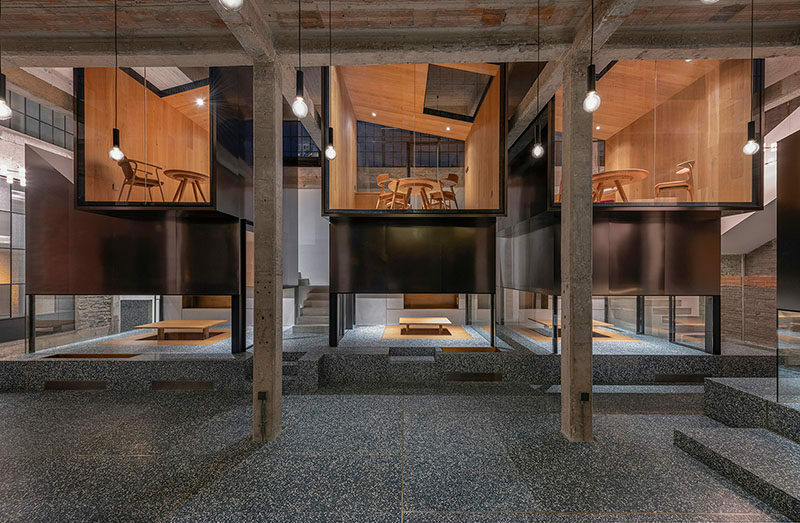 In the double height space Linehouse stacked teahouses that are framed at either end with full height glass, offering views and natural light from the windows above. 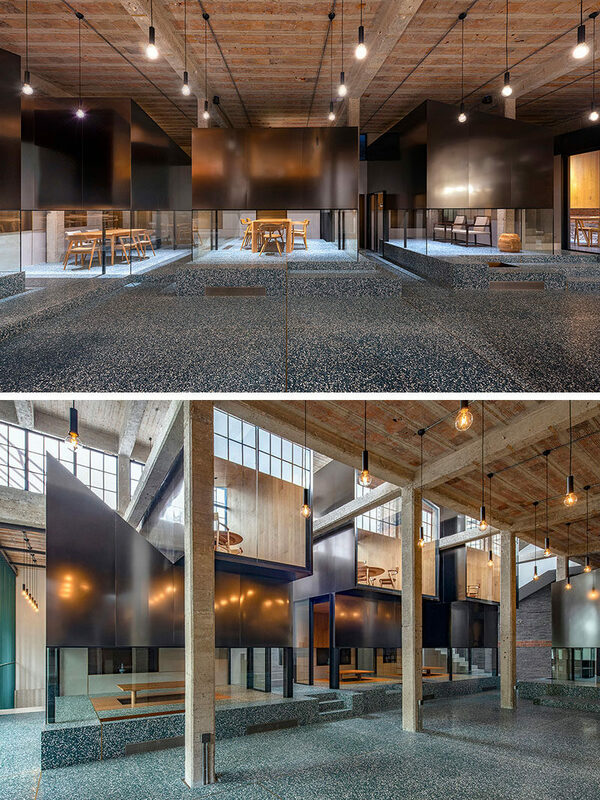 The teahouses are clad in brushed darkened stainless steel, emitting a blurred reflection of the surrounding existing space.